^ Ramirez, Ramses; Kaltenegger, Lisa (2017). “A Volcanic Hydrogen Habitable Zone”. The Astrophysical Journal Letters 837: L4. arXiv:1702.08618. Bibcode 2017ApJ...837L...4R. doi:10.3847/2041-8213/aa60c8. ^ a b Mumma, M. J.; Disanti, M. A.; Dello Russo, N.; Magee-Sauer, K.; Gibb, E.; Novak, R. (2003). “Remote infrared observations of parent volatiles in comets: A window on the early solar system”. Advances in Space Research 31 (12): 2563–2575. Bibcode 2003AdSpR..31.2563M. doi:10.1016/S0273-1177(03)00578-7. ^ a b Eisenhauer, F. (2003). “A Geometric Determination of the Distance to the Galactic Center”. The Astrophysical Journal 597 (2): L121–L124. arXiv:astro-ph/0306220. Bibcode 2003ApJ...597L.121E. doi:10.1086/380188. ^ WC Rufus (1923). 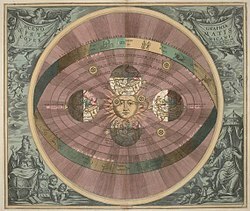 “The astronomical system of Copernicus”. Popular Astronomy 31: 510. Bibcode 1923PA.....31..510R. ^ Weinert, Friedel (2009). Copernicus, Darwin, & Freud: revolutions in the history and philosophy of science. Wiley-Blackwell. p. 21. ISBN 978-1-4051-8183-9. ^ M Woolfson (2000). “The origin and evolution of the solar system”. Astronomy and Geophysics 41 (1): 1.12. Bibcode 2000A&G....41a..12W. doi:10.1046/j.1468-4004.2000.00012.x. ^ Alessandro Morbidelli (2005年). “Origin and dynamical evolution of comets and their reservoirs”. arXiv:astro-ph/0512256 [astro-ph]. ^ a b Krasinsky, G. A.; Pitjeva, E. V.; Vasilyev, M. V.; Yagudina, E. I. (2002). “Hidden Mass in the Asteroid Belt”. Icarus 158 (1): 98–105. Bibcode 2002Icar..158...98K. doi:10.1006/icar.2002.6837. ^ Levison, H. F.; Morbidelli, A. (27 November 2003). “The formation of the Kuiper belt by the outward transport of bodies during Neptune's migration”. Nature 426 (6965): 419–421. Bibcode 2003Natur.426..419L. doi:10.1038/nature02120. PMID 14647375. http://www.nature.com/nature/journal/v426/n6965/abs/nature02120.html. ^ Harold F. Levison; Martin J Duncan (1997). 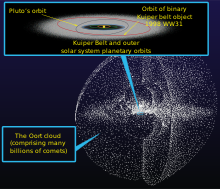 “From the Kuiper Belt to Jupiter-Family Comets: The Spatial Distribution of Ecliptic Comets”. Icarus 127 (1): 13–32. Bibcode 1997Icar..127...13L. doi:10.1006/icar.1996.5637. ^ Bi, S. L.; Li, T. D.; Li, L. H.; Yang, W. M. (2011). “Solar Models with Revised Abundance”. The Astrophysical Journal 731 (2): L42. arXiv:1104.1032. Bibcode 2011ApJ...731L..42B. doi:10.1088/2041-8205/731/2/L42. ^ “The Sun's Vital Statistics”. Stanford Solar Center. 2018年6月17日閲覧。 , citing Eddy, J. (1979). A New Sun: The Solar Results From Skylab. NASA. p. 37. NASA SP-402. https://history.nasa.gov/SP-402/contents.htm. ^ Paul Robert Weissman; Torrence V. Johnson (2007). Encyclopedia of the solar system. Academic Press. p. 615. ISBN 0-12-088589-1. ^ a b Podolak, M.; Weizman, A.; Marley, M. (December 1995). 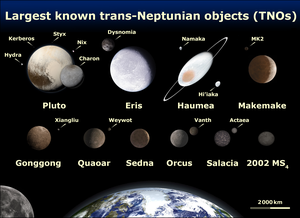 “Comparative models of Uranus and Neptune”. Planetary and Space Science 43 (12): 1517–1522. Bibcode 1995P&SS...43.1517P. doi:10.1016/0032-0633(95)00061-5. ^ Podolak, M.; Podolak, J. I.; Marley, M. S. (February 2000). “Further investigations of random models of Uranus and Neptune”. Planetary and Space Science 48 (2–3): 143–151. Bibcode 2000P&SS...48..143. doi:10.1016/S0032-0633(99)00088-4. ^ Michael Zellik (2002). Astronomy: The Evolving Universe (9th ed.). Cambridge University Press. p. 240. ISBN 0-521-80090-0. OCLC 223304585. ^ Placxo, Kevin W.; Gross, Michael (2006). Astrobiology: a brief introduction. JHU Press. p. 66. ISBN 978-0-8018-8367-5. https://books.google.com/?id=2JuGDL144BEC&pg=PA66&dq=inventory+volatiles+hydrogen&q=inventory%20volatiles%20hydrogen. ^ Bouvier, A.; Wadhwa, M. (2010). “The age of the Solar System redefined by the oldest Pb–Pb age of a meteoritic inclusion”. Nature Geoscience 3 (9): 637–641. Bibcode 2010NatGe...3..637B. doi:10.1038/NGEO941. ^ Greaves, Jane S. (7 January 2005). “Disks Around Stars and the Growth of Planetary Systems”. Science 307 (5706): 68–71. Bibcode 2005Sci...307...68G. doi:10.1126/science.1101979. PMID 15637266. ^ Boss, A. P.; Durisen, R. H. (2005). “Chondrule-forming Shock Fronts in the Solar Nebula: A Possible Unified Scenario for Planet and Chondrite Formation”. The Astrophysical Journal 621 (2): L137. arXiv:astro-ph/0501592. Bibcode 2005ApJ...621L.137B. doi:10.1086/429160. ^ Sukyoung Yi; Pierre Demarque; Yong-Cheol Kim; Young-Wook Lee; Chang H. Ree; Thibault Lejeune; Sydney Barnes (2001). “Toward Better Age Estimates for Stellar Populations: The Y2 Isochrones for Solar Mixture”. Astrophysical Journal Supplement 136 (2): 417–437. arXiv:astro-ph/0104292. Bibcode 2001ApJS..136..417Y. doi:10.1086/321795. ^ A. Chrysostomou; P. W. Lucas (2005). “The Formation of Stars”. Contemporary Physics 46 (1): 29–40. Bibcode 2005ConPh..46...29C. doi:10.1080/0010751042000275277. ^ a b c Schröder, K.-P.; Connon Smith, Robert (2008). “Distant future of the Sun and Earth revisited”. 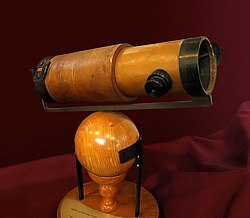 Monthly Notices of the Royal Astronomical Society 386 (1): 155–163. arXiv:0801.4031. Bibcode 2008MNRAS.386..155S. doi:10.1111/j.1365-2966.2008.13022.x. ^ Nir J. Shaviv (2003). “Towards a Solution to the Early Faint Sun Paradox: A Lower Cosmic Ray Flux from a Stronger Solar Wind”. Journal of Geophysical Research 108 (A12): 1437. arXiv:astroph/0306477. Bibcode 2003JGRA..108.1437S. doi:10.1029/2003JA009997. ^ Woolfson, M. (2000). “The origin and evolution of the solar system”. Astronomy & Geophysics 41 (1): 12. Bibcode 2000A&G....41a..12W. doi:10.1046/j.1468-4004.2000.00012.x. ^ T. S. van Albada; Norman Baker (1973). “On the Two Oosterhoff Groups of Globular Clusters”. The Astrophysical Journal 185: 477–498. Bibcode 1973ApJ...185..477V. doi:10.1086/152434. ^ Charles H. Lineweaver (9 March 2001). “An Estimate of the Age Distribution of Terrestrial Planets in the Universe: Quantifying Metallicity as a Selection Effect”. Icarus 151 (2): 307–313. arXiv:astro-ph/0012399. Bibcode 2001Icar..151..307L. doi:10.1006/icar.2001.6607. ^ Riley, Pete (2002). “Modeling the heliospheric current sheet: Solar cycle variations”. Journal of Geophysical Research 107. Bibcode 2002JGRA.107g.SSH8R. doi:10.1029/2001JA000299. オリジナルの2009-08-14時点によるアーカイブ。. https://web.archive.org/web/20090814052347/http://ulysses.jpl.nasa.gov/science/monthly_highlights/2002-July-2001JA000299.pdf. ^ Lundin, Richard (2001). “Erosion by the Solar Wind”. Science 291 (5510): 1909. doi:10.1126/science.1059763. PMID 11245195. ^ Langner, U. W.; M. S. Potgieter (2005). “Effects of the position of the solar wind termination shock and the heliopause on the heliospheric modulation of cosmic rays”. Advances in Space Research 35 (12): 2084–2090. Bibcode 2005AdSpR..35.2084L. doi:10.1016/j.asr.2004.12.005. ^ Landgraf, M.; Liou, J.-C.; Zook, H. A.; Grün, E. (May 2002). 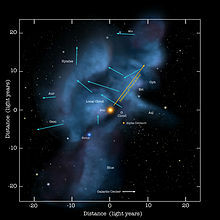 “Origins of Solar System Dust beyond Jupiter”. The Astronomical Journal 123 (5): 2857–2861. arXiv:astro-ph/0201291. Bibcode 2002AJ....123.2857L. doi:10.1086/339704. http://astron.berkeley.edu/~kalas/disksite/library/ladgraf02.pdf. ^ Benz, W.; Slattery, W. L.; Cameron, A. G. W. (1988). “Collisional stripping of Mercury's mantle”. Icarus 74 (3): 516–528. Bibcode 1988Icar...74..516B. doi:10.1016/0019-1035(88)90118-2. ^ Cameron, A. G. W. (1985). “The partial volatilization of Mercury”. Icarus 64 (2): 285–294. Bibcode 1985Icar...64..285C. doi:10.1016/0019-1035(85)90091-0. ^ ニュートン (別2009)、3章 地球型惑星、pp.58-59 水星の巨大な核はどうやってできた? ^ Mark Alan Bullock (1997) (PDF). The Stability of Climate on Venus. Southwest Research Institute. オリジナルの14 June 2007時点によるアーカイブ。. https://web.archive.org/web/20070614202751/http://www.boulder.swri.edu/~bullock/Homedocs/PhDThesis.pdf. ^ David C. Gatling; Conway Leovy (2007). “Mars Atmosphere: History and Surface Interactions”. In Lucy-Ann McFadden. Encyclopaedia of the Solar System. pp. 301–314. ^ Pascal Rosenblatt; Sébastien Charnoz; Kevin M. Dunseath; Mariko Terao-Dunseath; Antony Trinh; Ryuki Hyodo; Hidenori Genda; Stéven Toupin (2016). “Accretion of Phobos and Deimos in an extended debris disc stirred by transient moons”. Nature Geoscience 9: 581-583. doi:10.1038/ngeo2742. ^ Petit, J.-M.; Morbidelli, A.; Chambers, J. (2001). “The Primordial Excitation and Clearing of the Asteroid Belt” (PDF). Icarus 153 (2): 338–347. Bibcode 2001Icar..153..338P. doi:10.1006/icar.2001.6702. http://www.gps.caltech.edu/classes/ge133/reading/asteroids.pdf. ^ Barucci, M. A.; Kruikshank, D.P. ; Mottola S.; Lazzarin M. (2002). “Physical Properties of Trojan and Centaur Asteroids”. Asteroids III. Tucson, Arizona: University of Arizona Press. pp. 273–87. ^ Morbidelli, A.; Bottke, W. F.; Froeschlé, Ch. ; Michel, P. (January 2002). W. F. Bottke Jr.. ed. “Origin and Evolution of Near-Earth Objects” (PDF). Asteroids III (University of Arizona Press): 409–422. Bibcode 2002aste.conf..409M. http://www.boulder.swri.edu/~bottke/Reprints/Morbidelli-etal_2002_AstIII_NEOs.pdf. ^ Kargel, J. S. (1994). “Cryovolcanism on the icy satellites”. Earth, Moon, and Planets 67: 101–113. Bibcode 1995EM&P...67..101K. doi:10.1007/BF00613296. ^ Hawksett, David; Longstaff, Alan; Cooper, Keith; Clark, Stuart (2005). “10 Mysteries of the Solar System”. Astronomy Now 19: 65. Bibcode 2005AsNow..19h..65H. ^ Podolak, M.; Reynolds, R. T.; Young, R. (1990). “Post Voyager comparisons of the interiors of Uranus and Neptune”. Geophysical Research Letters 17 (10): 1737–1740. Bibcode 1990GeoRL..17.1737P. doi:10.1029/GL017i010p01737. ^ Chamberlain, Matthew A.; Sykes, Mark V.; Esquerdo, Gilbert A. (2007). “Ceres lightcurve analysis – Period determination”. Icarus 188 (2): 451–456. Bibcode 2007Icar..188..451C. doi:10.1016/j.icarus.2006.11.025. ^ Nimmo, Francis (2017). “Mean radius and shape of Pluto and Charon from New Horizons images”. Icarus 287: 12–29. arXiv:1603.00821. Bibcode 2017Icar..287...12N. doi:10.1016/j.icarus.2016.06.027. http://www.sciencedirect.com/science/article/pii/S0019103516303529. ^ J. L. Ortiz et al. (2017). “The size, shape, density and ring of the dwarf planet Haumea from a stellar occultation”. Nature 550 (7675): 219–223. Bibcode 2017Natur.550..219O. doi:10.1038/nature24051. PMID 29022593. ^ Rabinowitz, D. L.; Schaefer, Bradley E.; Schaefer, Martha; Tourtellotte, Suzanne W. (2008). “The Youthful Appearance of the 2003 EL61 Collisional Family”. The Astronomical Journal 136 (4): 1502–1509. arXiv:0804.2864. Bibcode 2008AJ....136.1502R. doi:10.1088/0004-6256/136/4/1502. ^ P. Lacerda; D. Jewitt; N. Peixinho (2008). “High-Precision Photometry of Extreme KBO 2003 EL61”. The Astronomical Journal 135 (5): 1749–1756. arXiv:0801.4124. Bibcode 2008AJ....135.1749L. doi:10.1088/0004-6256/135/5/1749. ^ M.E. Brown (2013). “On the size, shape, and density of dwarf planet Makemake”. The Astrophysical Journal Letters 767: L7(5pp). arXiv:1304.1041v1. Bibcode 2013ApJ...767L...7B. doi:10.1088/2041-8205/767/1/L7. ^ A. N. Heinze; Daniel deLahunta (2009). “The rotation period and light-curve amplitude of Kuiper belt dwarf planet 136472 Makemake (2005 FY9)”. The Astronomical Journal 138: 428–438. doi:10.1088/0004-6256/138/2/428. http://www.iop.org/EJ/abstract/1538-3881/138/2/428/. ^ Sicardy, B.; Ortiz, J. L.; Assafin, M.; Jehin, E.; Maury, A.; Lellouch, E.; Gil-Hutton, R.; Braga-Ribas, F. et al. (2011). “Size, density, albedo and atmosphere limit of dwarf planet Eris from a stellar occultation”. European Planetary Science Congress Abstracts 6: 137. Bibcode 2011epsc.conf..137S. http://meetingorganizer.copernicus.org/EPSC-DPS2011/EPSC-DPS2011-137-8.pdf. ^ Brown, Michael E.; Schaller, Emily L. (15 June 2007). “The Mass of Dwarf Planet Eris”. Science 316 (5831): 1585. Bibcode 2007Sci...316.1585B. doi:10.1126/science.1139415. PMID 17569855. http://hubblesite.org/pubinfo/pdf/2007/24/pdf.pdf. ^ Sekanina, Zdeněk (2001). “Kreutz sungrazers: the ultimate case of cometary fragmentation and disintegration?”. Publications of the Astronomical Institute of the Academy of Sciences of the Czech Republic 89: 78–93. Bibcode 2001PAICz..89...78S. ^ Królikowska, M. (2001). “A study of the original orbits of hyperbolic comets”. Astronomy and Astrophysics 376 (1): 316–324. Bibcode 2001A&A...376..316K. doi:10.1051/0004-6361:20010945. ^ Whipple, Fred L. (1992). 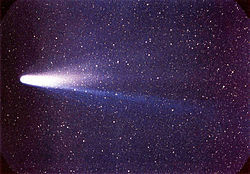 “The activities of comets related to their aging and origin”. Celestial Mechanics and Dynamical Astronomy 54: 1–11. Bibcode 1992CeMDA..54....1W. doi:10.1007/BF00049540. ^ Stephen C. Tegler (2007). “Kuiper Belt Objects: Physical Studies”. In Lucy-Ann McFadden. Encyclopedia of the Solar System. pp. 605–620. ^ Brown, M. E.; Van Dam, M. A.; Bouchez, A. H.; Le Mignant, D.; Campbell, R. D.; Chin, J. C. Y.; Conrad, A.; Hartman, S. K. et al. (2006). 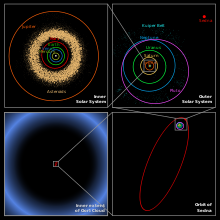 “Satellites of the Largest Kuiper Belt Objects” (PDF). The Astrophysical Journal 639 (1): L43–L46. arXiv:astro-ph/0510029. Bibcode 2006ApJ...639L..43B. doi:10.1086/501524. http://web.gps.caltech.edu/~mbrown/papers/ps/gab.pdf. ^ Chiang, E. I; Jordan, A. B.; Millis, R. L.; Buie, M. W.; Wasserman, L. H.; Elliot, J. L.; Kern, S. D.; Trilling, D. E. et al. (2003). “Resonance Occupation in the Kuiper Belt: Case Examples of the 5:2 and Trojan Resonances” (PDF). The Astronomical Journal 126 (1): 430–443. arXiv:astro-ph/0301458. Bibcode 2003AJ....126..430C. doi:10.1086/375207. http://www.boulder.swri.edu/~buie/biblio/pub047.pdf. ^ M. W. Buie; R. L. Millis; L. H. Wasserman; J. L. Elliot; S. D. Kern; K. B. Clancy; E. I. Chiang; A. B. Jordan et al. (2005). “Procedures, Resources and Selected Results of the Deep Ecliptic Survey”. Earth, Moon, and Planets 92 (1): 113–124. arXiv:astro-ph/0309251. Bibcode 2003EM&P...92..113B. doi:10.1023/B:MOON.0000031930.13823.be. ^ Fajans, J.; L. Frièdland (2001). “Autoresonant (nonstationary) excitation of pendulums, Plutinos, plasmas, and other nonlinear oscillators” (PDF). American Journal of Physics 69 (10): 1096–1102. Bibcode 2001AmJPh..69.1096F. doi:10.1119/1.1389278. オリジナルの7 June 2011時点によるアーカイブ。. https://web.archive.org/web/20110607210435/http://ist-socrates.berkeley.edu/~fajans/pub/pdffiles/AutoPendAJP.pdf. ^ Brown, Michael E.; Schaller, Emily L. (2007). “The Mass of Dwarf Planet Eris”. Science 316 (5831): 1585. Bibcode 2007Sci...316.1585B. doi:10.1126/science.1139415. PMID 17569855. ^ a b c Fahr, H. J.; Kausch, T.; Scherer, H. (2000). “A 5-fluid hydrodynamic approach to model the Solar System-interstellar medium interaction” (PDF). Astronomy and Astrophysics 357: 268. Bibcode 2000A&A...357..268F. http://aa.springer.de/papers/0357001/2300268.pdf. See Figures 1 and 2. ^ Stone, E. C.; Cummings, A. C.; McDonald, F. B.; Heikkila, B. C.; Lal, N.; Webber, W. R. (2005). 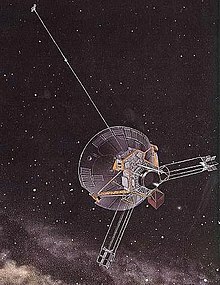 “Voyager 1 explores the termination shock region and the heliosheath beyond”. Science 309 (5743): 2017–2020. Bibcode 2005Sci...309.2017S. doi:10.1126/science.1117684. PMID 16179468. ^ Stone, E. C.; Cummings, A. C.; McDonald, F. B.; Heikkila, B. C.; Lal, N.; Webber, W. R. (2008). “An asymmetric solar wind termination shock”. Nature 454 (7200): 71–74. Bibcode 2008Natur.454...71S. doi:10.1038/nature07022. PMID 18596802. ^ D. J. McComas (2012). “The Heliosphere’s Interstellar Interaction: No Bow Shock”. Science 336 (6086): 1291-1293. doi:10.1126/science.1221054. ^ T. Encrenaz; JP. Bibring; M. Blanc; MA. Barucci; F. Roques; PH. Zarka (2004). The Solar System: Third edition. Springer. p. 1. ^ Durda D. D.; Stern S. A.; Colwell W. B.; Parker J. W.; Levison H. F.; Hassler D. M. (2004). “A New Observational Search for Vulcanoids in SOHO/LASCO Coronagraph Images”. Icarus 148: 312–315. Bibcode 2000Icar..148..312D. doi:10.1006/icar.2000.6520. ^ R. Drimmel; D. N. Spergel (2001). 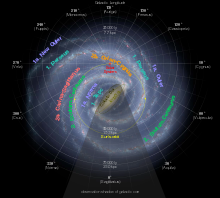 “Three Dimensional Structure of the Milky Way Disk”. The Astrophysical Journal 556: 181–202. arXiv:astro-ph/0101259. Bibcode 2001ApJ...556..181D. doi:10.1086/321556. ^ Reid, M.J.; Brunthaler, A. (2004). “The Proper Motion of Sagittarius A*”. The Astrophysical Journal 616 (2): 883. arXiv:astro-ph/0408107. Bibcode 2004ApJ...616..872R. doi:10.1086/424960. ^ O. Gerhard (2011). “Pattern speeds in the Milky Way”. Mem. S.A.It. Suppl. 18: 185. arXiv:1003.2489. Bibcode 2011MSAIS..18..185G. ^ Anglada-Escudé, Guillem; Amado, Pedro J.; Barnes, John; Berdiñas, Zaira M.; Butler, R. Paul; Coleman, Gavin A. L.; de la Cueva, Ignacio; Dreizler, Stefan et al. (25 August 2016). “A terrestrial planet candidate in a temperate orbit around Proxima Centauri” (英語). Nature 536 (7617): 437–440. arXiv:1609.03449. Bibcode 2016Natur.536..437A. doi:10.1038/nature19106. ISSN 0028-0836. PMID 27558064. http://www.nature.com/nature/journal/v536/n7617/full/nature19106.html. 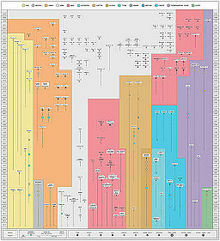 ^ Greaves, J. S.; Holland, W. S.; Moriarty-Schieven, G.; Jenness, T.; Dent, W. R. F.; Zuckerman, B.; McCarthy, C.; Webb, R. A. et al. (1998). “A dust ring around Epsilon Eridani: analog to the young Solar System”. The Astrophysical Journal 506 (2): L133–L137. arXiv:astro-ph/9808224. Bibcode 1998ApJ...506L.133G. doi:10.1086/311652. ^ Fabo Feng; Mikko Tuomi (2017年8月7日). “Color difference makes a difference: four planet candidates around tau Ceti”. arXiv:1708.02051v1 [astro-ph.EP]. Bibcode 2017arXiv170802051F. ^ a b c d Rebecca G. Martin; Mario Livio (2015年8月4日). “The Solar System as an Exoplanetary System”. arXiv:1508.00931v1 [astro-ph.EP]. Bibcode 2015ApJ...810..105M. doi:10.1088/0004-637X/810/2/105. ^ Kathryn Volk; Brett Gladman (2015年5月27日). “Consolidating and Crushing Exoplanets: Did it happen here?”. arXiv:1502.06558v2 [astro-ph.EP]. Bibcode 2015ApJ...806L..26V. doi:10.1088/2041-8205/806/2/L26. ^ Anglada-Escudé, Guillem; Tuomi,Mikko (2012). A planetary system with gas giants and super-Earths around the nearby M dwarf GJ 676A. Optimizing data analysis techniques for the detection of multi-planetary systems. arXiv:1206.7118. Bibcode 2012arXiv1206.7118A.